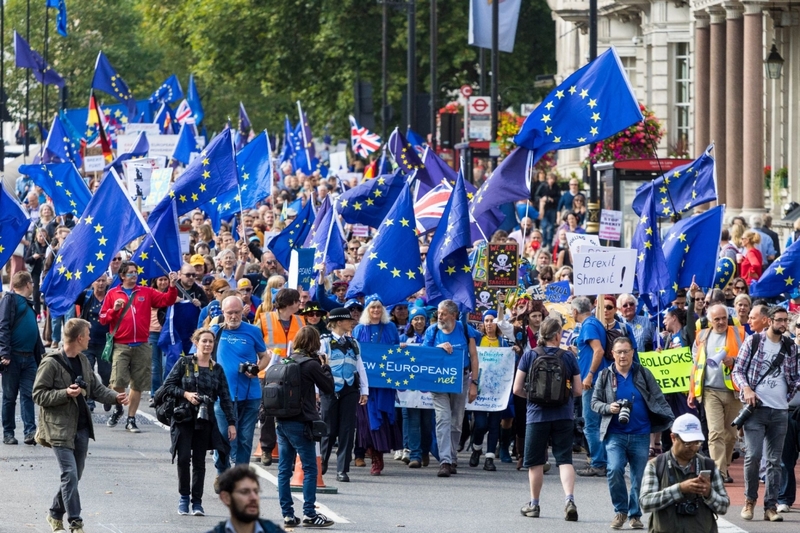 With so little time to go before Britain may leave the EU there is nothing to be gained by delaying a decision to back campaigns that can defend the rights of citizens and mobilize support for a different outcome. New Europeans has a proud track record of fighting efficient, high impact campaigns that deliver results. We ask you to do what you can to support our campaigns on a regular basis throughout 2018 so that we can plan ahead and maximize the difference we can make in the short time available before Britain walks out of the EU towards an uncertain and unstable future. Those who will be most impacted by Britain's withdrawal from the EU are those who need the EU's protection most. In the first instance, that is EU27 citizens in the UK and Britons in Europe. However, the set of individuals and communities that depend on the rights that come with EU citizenship ranges far wider than this. NHS patients, people in care or in need of care, people at work, all those in precarious employment situations especially those on zero hour contracts, students, researchers, people with disabilities, foster children, migrants, refugees, farmers, small businesses, all of these and more are going to be negatively impacted when Britain leaves the EU and we lose the protection of the social rights that are guaranteed through EU membership and the ability to attract the people Britain needs from overseas. New Europeans is more than just a pressure group. We are an organisation that passionately believes in a Europe of the Citizens, a Europe that protects basic human rights, that sets minimum social and environmental standards, that offers freedom and opportunity to the next generation and that stands for 72 years of peace in Europe. Over 5 years we have built up valuable relationships with government departments, Members of Parliament, the EU institutions and civil society and human rights organisations in the UK and internationally. In 2013, we were the only organisation that had the foresight in to see the situation arising in which millions of EU27citizens and Britons in Europe would have their rights stripped away as a result of a referendum. We are still fighting for these rights today. We cannot continue to do this without the support of you our members and friends. We are asking all our members and supporters to sign up for a monthly direct debit so that we can be sure that we have the resources we need to plan our campaigns for the coming year. We know that each person has different circumstances and so there will be varying amounts that each member or supporter can afford. So we have set up a range of monthly plans to suit your needs. If you would like to give more than the Gold Plan, please contact us at office@neweuropeans.net and we will follow up with further information. Please click the link below for the plan that you can afford and complete your details. All subscribers to our monthly plans will receive our monthly Special Briefing, detailing the campaign work we have been able to carry out with your support and the outcome of our representations and campaign activities. We will also include the name of each subscriber to our monthly plans in a roll of honour in a promotional page we are preparing with The New European newspaper (subject to your agreement). Now is the time to step up to the breach once more. By this time next year, it may well be too late. As things stand now, it is far from inevitable that EU27 citizens and Britons in the EU will lose their rights, or that the UK should leave the EU. We have it in our hands to change that - and only one year to do so. We thank you and we count on your support.